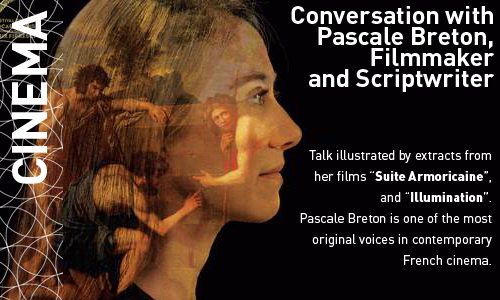 In this talk illustrated by extracts from her films, Pascale Breton, one of the most original voices in contemporary French cinema, offers insight into her practice as filmmaker and screenwriter. Her second feature, Suite Armoricaine (2015) shot on campus at Rennes University with the participation of students, won the FIPRESCI Prize at the Locarno Festival. Poetic and vibrant, with a strong personal style that interweaves literature, painting and music, her films dwell on questions of belonging, connectedness and where to find spaces of Arcadia in our modern world. Suite Armoricaine will be screened at the University of Edinburgh on Friday, 22 March, at 5.30 (50 George Square, Screening Room G.04, ground floor). The screening is free, but reservation via Eventbrite is recommended.